Photocopierinkarachi.com is a Photocopier supplier in Karachi, this company is managed by Paragon Copier Solution (PCS), who is the leading importer of new and refurbished photocopier machines in Karachi. We import selected, tested and best quality photocopier machines from USA, Canada, and Europe. We ensure customer satisfaction by providing advanced and improved photocopier machines and services at justifiable prices. 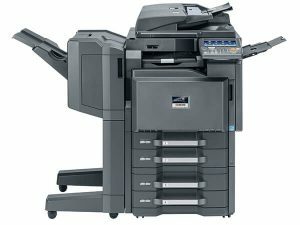 We are the wholesaler and retail supplier of digital photocopiers including desktop size to mid-range size photocopiers, either new or refurbished in the whole country as per client requirements. We also deal in photocopier parts including the toner at reasonable prices. To become a world leader in office automation products. Paragon Copier Solution (PCS) is striving every day to take office automation products (mainly Photocopier machines, Printers and Scanners) at the top possible position and deliver best photocopier services at reasonable prices.